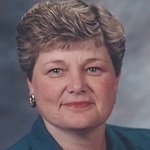 Linda Harris attended college at the University of California, Riverside as a math major before transferring to go to a private business college to learn to be a computer programmer. It was 1967, and computer programming was in its infancy. Upon graduation Linda went to work at a local bank and stayed in the banking industry for 15 years. Linda first became securities licensed in 1984 while working for a sponsor of oil income limited partnerships. In 1986, she started her own financial consulting practice, Independent Financial Planning Inc., working out of my first office in Huntington Beach. Linda holds 5 securities licenses, as well as insurance, real estate, and tax licenses. Linda became a Certified Financial Planner (CFP) in 1988. I’m married to Tom, a wonderful man. My girls are grown and have blessed me with 4 grandchildren. They all live within a two hour drive of my home. I live in La Quinta, which is about 25 miles east of Palm Springs. My husband and I are RVers. We love to travel in the motorhome, and plan to do a lot of it in the future. I am so happy to be part of Dan Cairo’s organization, and look forward to meeting the rest of his representatives. Independent Financial Planning Group, Inc.